‘Being surrounded by inspirational people and meeting students from all over the world made me want to try and achieve great things. In America I realized that, despite my disability, I can be completely independent and successful and I’ve proven it to myself since. I don’t know where I’d be now without my FLEX experience – perhaps I’d just sit at home with no degree or career plans,’ Ayna says. 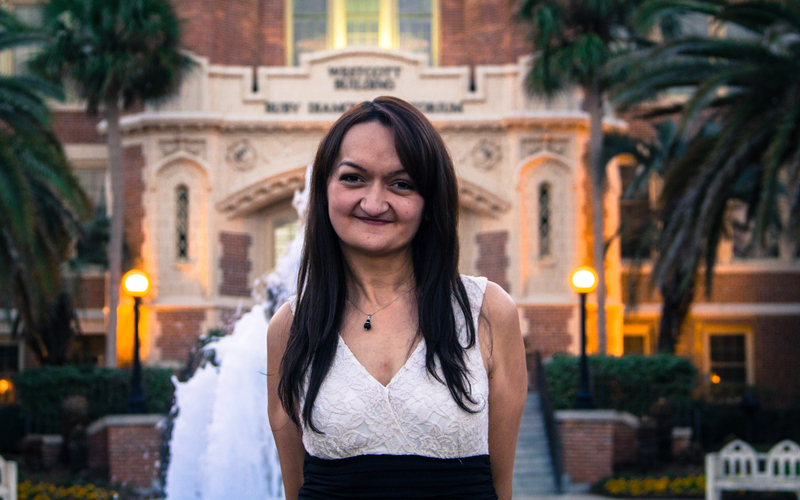 It’s difficult to believe that enthusiastic KIMEP University senior and Global UGRAD program finalist Ayna Kebayeva has ever doubted herself. Yet she believes she had a completely different outlook before her FLEX year. 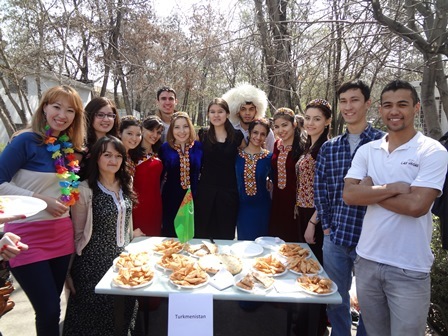 After Ayna returned to her native Turkmenistan she started working as the FLEX Alumni Coordinator at the American Councils office in Ashgabat. In a short span of time she brought the local FLEX community together and organized visits to orphanages, big city clean ups for Global Youth Service Day, and the first-ever English language spelling bee in Turkmenistan. Addressing social issues with humor was one of her strategies. For the World No Tobacco Day Ayna and her fellow FLEX alumni offered passers-by candy in exchange for their cigarettes while wearing specially-designed T-shirts in a park. A year later Ayna received a Central Asian Undergraduate Scholarship to study at KIMEP University in Almaty, Kazakhstan. There she dived into university life headfirst by joining the ‘The KIMEP Times’ newspaper and the International Deputy Committee, where together with other foreign students she conducted charity and multicultural events. 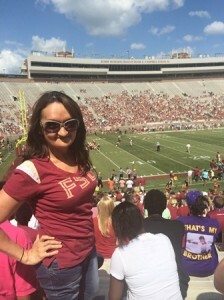 When eventually she returned to the U.S. as a Global UGRAD program finalist she continued promoting diversity and mutual understanding by giving presentations at Florida State University international clubs like InternatioNole and Global Ambassador. ‘What amazed me is how eager most of my peers were to learn about different cultures. This second year spent in America strengthened my belief in the importance of international cooperation, which came out of my experiences, including FLEX,’ Ayna remarks. Her philosophy is to make a difference through small, but meaningful projects: ‘In the future I hope to open a sustainable business aimed not at drastically changing the world but at making a positive impact in my hometown or region. It could, for instance, be a bookstore that inspires children to read and opens a door into a big world for them’. ‘The FLEX year has been amazing for most of us, but it’s just the beginning and it only gets better and more interesting from then on. Never stop believing in the importance of your contribution to your community. Don’t hesitate to explore new opportunities that come your way!’ Ayna advises FLEX alumni.